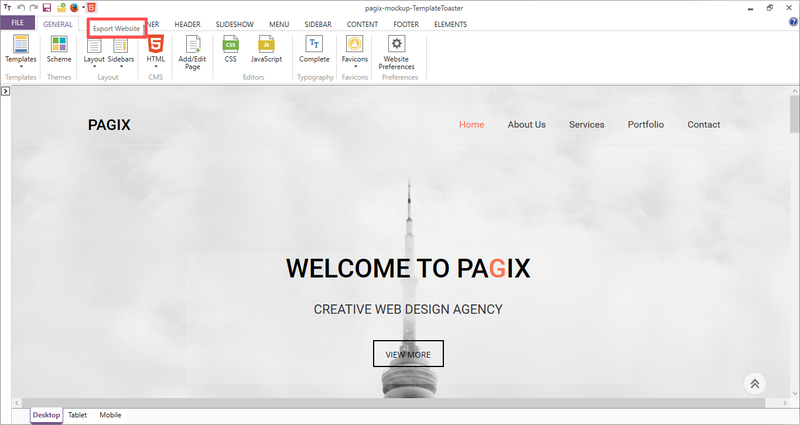 STEP 1: Export your website from File >> Export >> Html Website. STEP 2: Now just extract the zip file that you just exported and put this file into the local server . STEP 3: You are ready to see the website on the browser.